In this series, I'll be exploring electromagnetic weapons, how to build them, their function and application to the future, and the amazing possibilities electromagnetism has to offer. First, the electromagnetic pulse generator, or EMP. You've probably heard of these before, and their devastating effects on electronics. A simple EMP consists of a capacitor, transformer, trigger, and coil of copper wire. This, when triggered, would produce an intense magnetic field for a brief period, similar to a coil gun (see this article for more info). On a small scale, this would be enough to reset a calculator or electronic clock, but not enough to be of any use. However, it is quite easy to make a more effective one (at close range), with a few more components, and time. I'll be going over capacitors and transformers in this article, and discussing which are most applicable to an EMP. In a way, capacitors are quite similar to batteries. They both store electrical energy; however, there is a major difference. That is, capacitors only STORE electrons, never produce them. In a battery, a chemical reaction between two terminals and an acidic solution PRODUCES electrons. Inside the capacitor, the terminals connect to two metal plates separated by a non-conducting substance, or dielectric. Its quite easy to make a capacitor from two pieces of aluminium foil and a piece of paper or plastic, like a leyden jar (see this article on how to make a simple leyden jar shocker). Depending on the voltage rating and capacitance rating, capacitors can be a small as a grain of rice, or as large as a garbage can and bigger. For a practical DIY EMP, a simple 5000uf 400V capacitor (or capacitor bank) would be legitimate. There are two ways to create a capacitor bank; series or parallel. This article explains the differences in series and parallel quite well. A capacitor bank for an EMP should have capacitors linked together in parallel. This increases the capacitance and reduces electrolyte damage. For example, if you had six capacitors at 650uf 400V each in parallel, your final capacitance and voltage would be 3900uf 400V. The voltage does not change, but the capacitance increases. The image below is a circuit diagram representation of capacitors in parallel. Your capacitor bank should be similar (if not exact) in design. 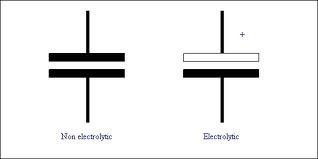 Also, keep in mind electrolyte capacitors have a positive and a negative (polarity). The white line on an electrolyte capacitor represents negative, ensure your capacitor bank has an orderly, constant polarity. 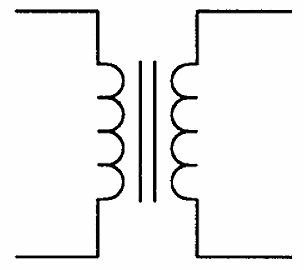 The two outside "humps" or coils represent inductors, and the center portion represents a core. Most (all) flyback transformers have a ferrite core, and most MOTs have a steel or similar metal core. For more information about transformers, see here. In part two, I'll be covering switches and coils. When working with voltage of any kind, always be careful. Capacitors and transformers can be deadly if misused. Have RESPECT for electricity! Electrons may be light, but they can pack a punch! I'm making an EMP app for smartphones, Good idea right? HI, I'm new on WonderHowTo. I am from spain, so excuse me for my bad english. While I was reading the post I realized that you were talking about 400 v capacitors; but the microwave's transformer ouputs 2000 v ! So, shall I use other type of capacitors or I rather change the transformer? Thankyou for everithing. It's pretty cool. Think I'm gonna try to make it. I made up a capacitor and values for example's sake. I would most certainly recommend a larger capacitor value! I'm trying to do something similar to this for a project I have going, i already have a low voltage cap bank (around 1-2 Farads) which i used for testing different sizes of coil. Amazingly even when charged to 24 Volts (stored potential around 300 Joules) when the circuit was closed it did nothing to the calculator which was right next to the coil. I guess the main factor here is voltage. nice article ! what do you think of using magnetron from a microwave oven to generate EMP ? I am currently making one and it works well in short range.Can you suggest a way to increase the range of the Magnetron ? Is it possible to build a directional EMP gun? I have a PCB of a flash camera with a 330 v 160 uf capacitor . Can I use the PCB to make an EMP .